Like most weekends this summer, the Laurel House Parking Area is completely full, and cars are parked on both sides of the road all the way up to North Lake Road. Recently the Town of Hunter put up more No Parking signs and Tow Away signs on the entire length of Laurel House Road. But, this had no effect on people still parking illegally on both sides of the road. The police and DEC Ranger were there issuing tickets to all those who parked illegally (hundreds). 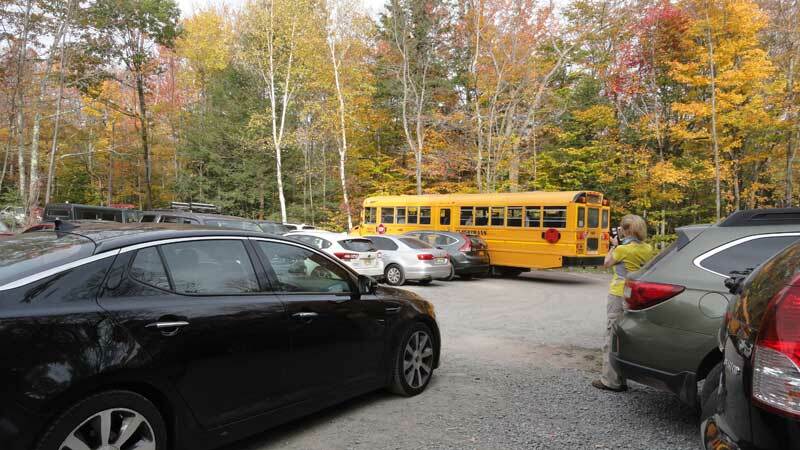 This weekend, school buses were there blocking the parking area and the road. They were told to leave. Meanwhile people had to wait for almost an hour for the bus to leave, so that they could leave or park. The parking lot on Laurel House Road fills up before Schutt, but that is to be expected. Prior to the DEC enlarging the Laurel House PA and the Schutt PA, Catskill Mountaineer had recommended that the PA's be enlarged at least 300 spaces. Those in charge refused to even look at Catskill Mountaineer's proposal. Instead they enlarge the Laurel House PA to 50 cars, and the Schutt PA to 75 cars. The Town of Hunter has "Declared War" against hikers. They are continuing to put up more and more No Parking signs. They are also encouraging other towns to do the same. This has created a hostile environment between Government and Hikers. 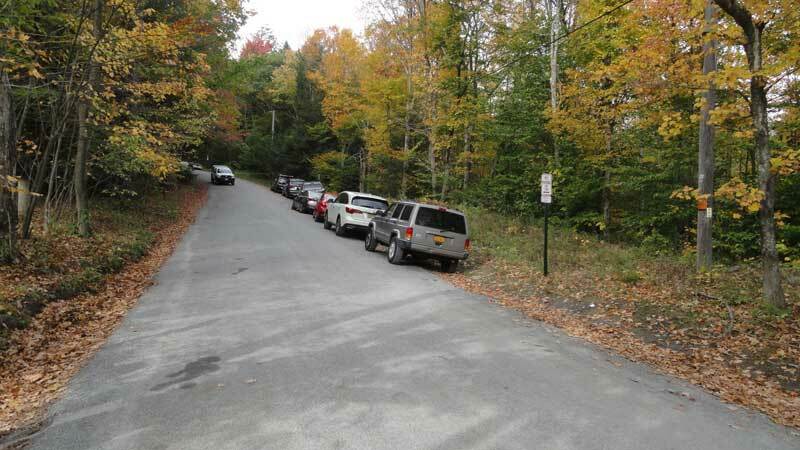 Some hikers are now boycotting businesses in Tannersville and Hunter. They claim that it is okay to double park on Rt 23a in Tannersville, but not okay to park on the side of a country road. The Towns have also been preventing access to swimming holes, which has caused people to concentrate on the few remaining swimming holes. It should be noted that Governor Cuomo has had a long campaign to increase tourism in the Catskills, but has not provided enough resources to handle the increase in flow of people attracted to the region. In 2007 there were approximately 250,000 people who came to the Catskills for hiking and biking. Now it is around 1,250,000 people. This site alone gets over 650,000 new visitors a year.